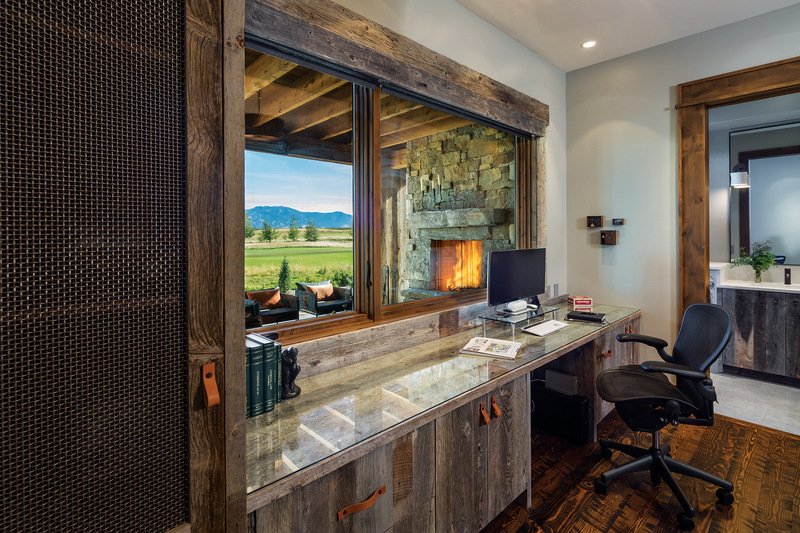 FOR MANY OF ITS RESIDENTS, the Black Bull golf community, a few miles outside of Bozeman, Montana, represents a perfect compromise. 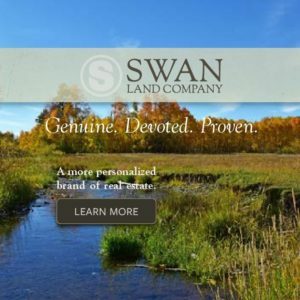 It’s a way of living in a convenient location (close to town, 15 minutes from the airport) but in a community that encourages creative, custom homes. You can build a very personal abode even while staying close to Main Street shopping. Black Bull is a platted subdivision, however, and so doesn’t necessarily provide the sense of privacy that you might find in other locations. If you’re an architect, how do you make a project in Black Bull feel like it’s a little bit removed from its neighbors? 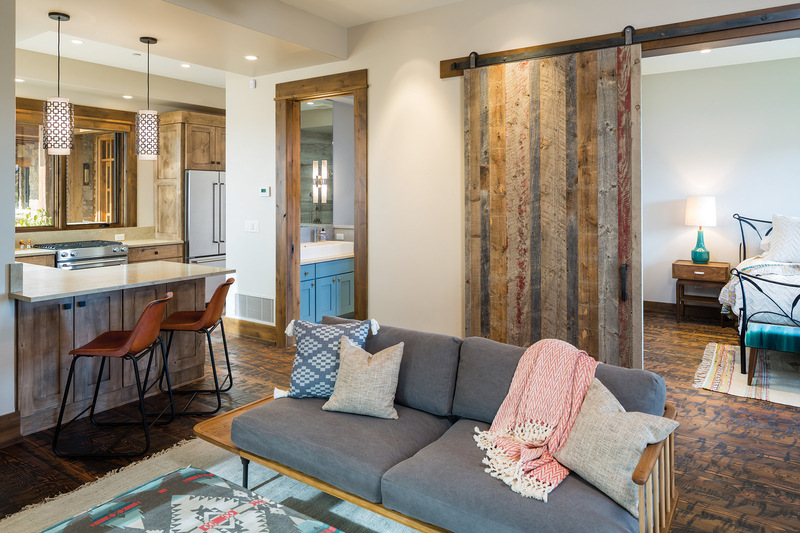 In addition to the fully appointed amenities, the Gordon residence also includes an expansive basement wood shop, allowing ample room for Keith’s carpentry tools and for the storage of an “eclectic collection of beautiful wood species,” according to Wendy. 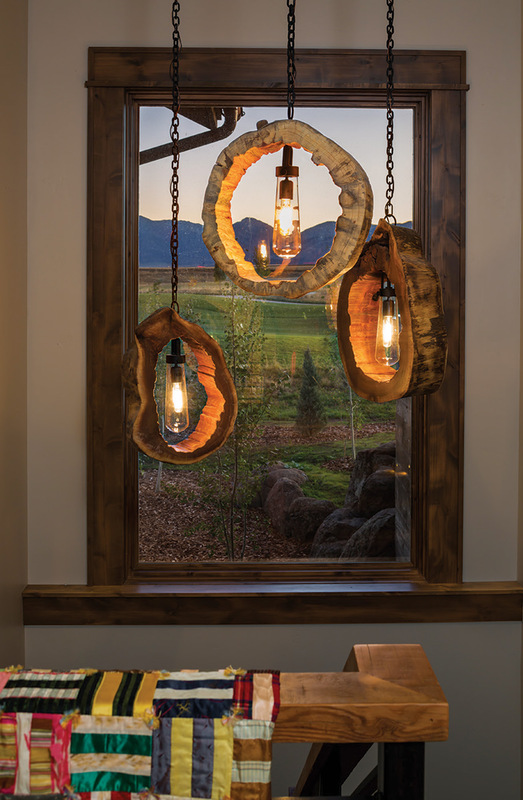 Keith, an avid woodworker, collaborated with interior designer Teresa Kessler-Prond of TK Design Studio to design and craft several light fixtures for the home, with other furnishings to follow once the family settled in. The two partners with Dovetail Construction, Tim Rote and Kevin Sullivan, have been in business for 12 years now, but they’ve both been part of the industry since they were kids. 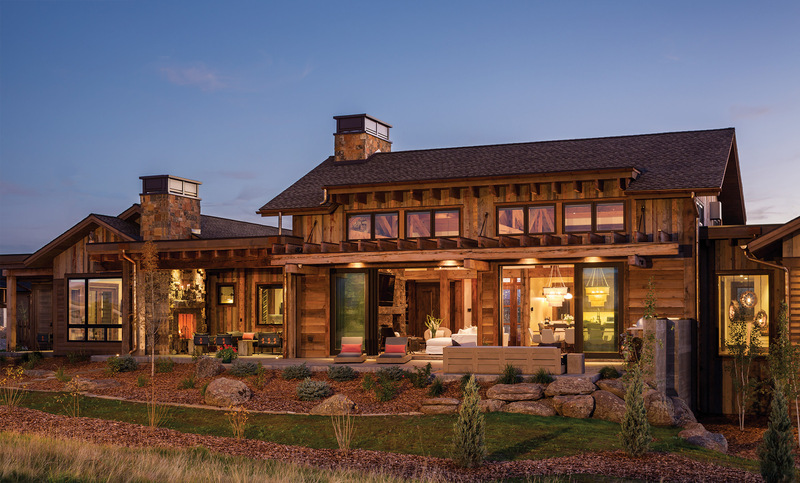 Their work includes projects around Southwest Montana, including Livingston and Big Sky. The Gordons’ home was their third project in Black Bull. 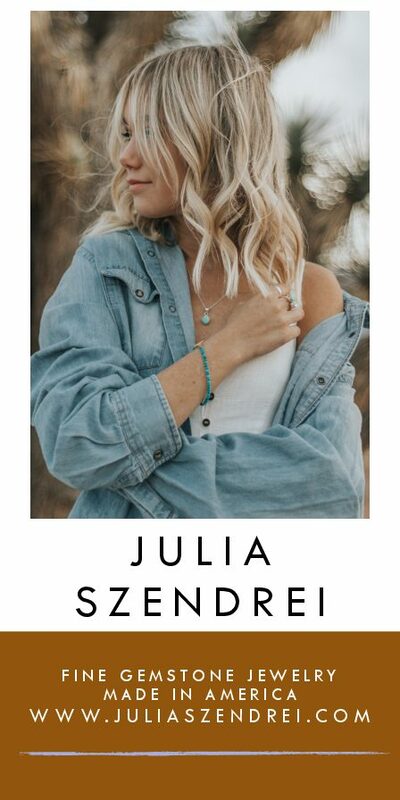 “A fun and professional experience is always a primary goal. Working for the Gordons was really rewarding in that they appreciated Dovetail’s commitment to quality and service, ” Rote said. The trusses in the great room were made from reclaimed lumber, and they were used “as is” rather than resawn, which presented its own challenges. 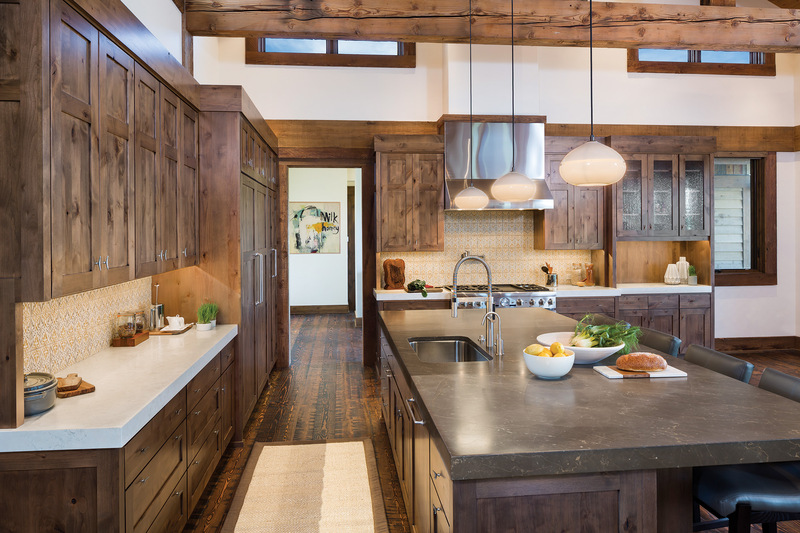 Incorporating reclaimed into new construction, with all the warps and bulges of aging lumber, is “definitely an art form,” Sullivan said. It was important for the Gordons that they be able to share the space, not only to entertain comfortably but also to receive overnight guests. 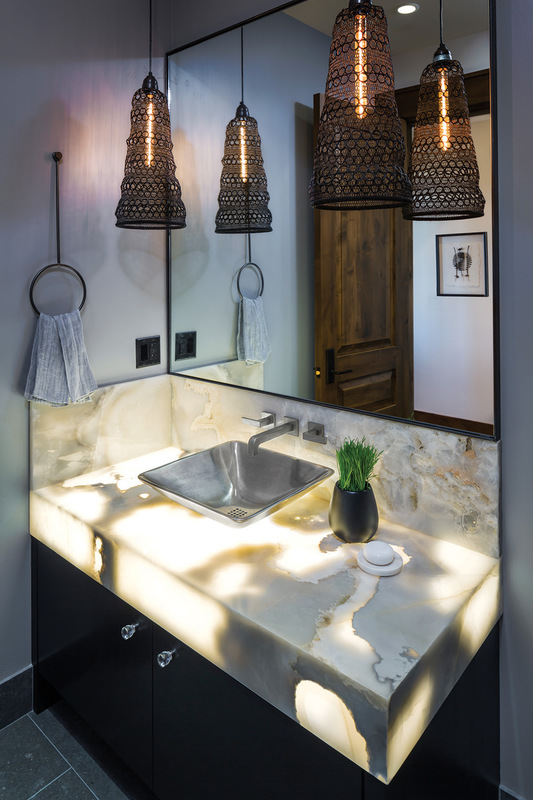 To that end, they included a 700-square-foot attached guest dwelling, what the team took to calling the “casita.” Coming complete with a stand-alone kitchen, living room, and full bath, the casita is an extension of the Gordons’ personal philosophy regarding entertaining. Accessible, but with available privacy. Like the Black Bull development itself, it’s the perfect compromise. 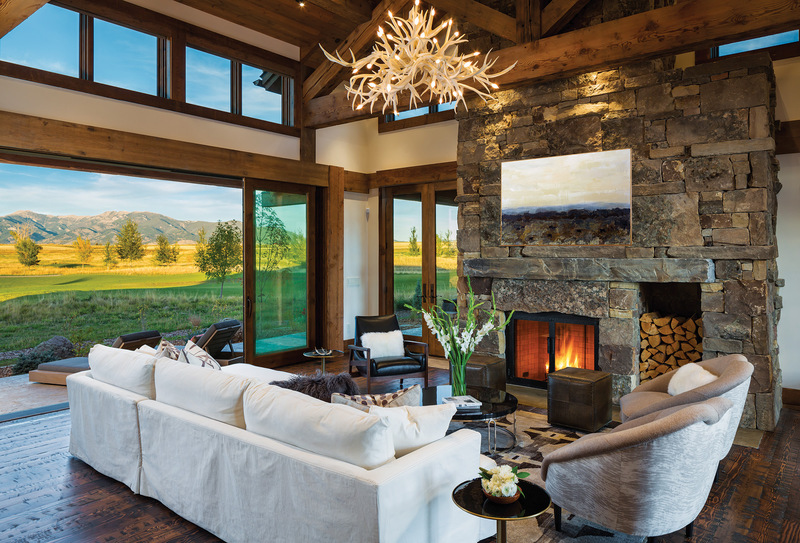 The great room is the home’s center, intended for both entertaining and relaxing with family. On the lower right, the guest dwelling, their “casita,” is attached seamlessly to the main house. The dark, textured, fir flooring complements the stonework on the fireplace and the reclaimed timbers overhead. 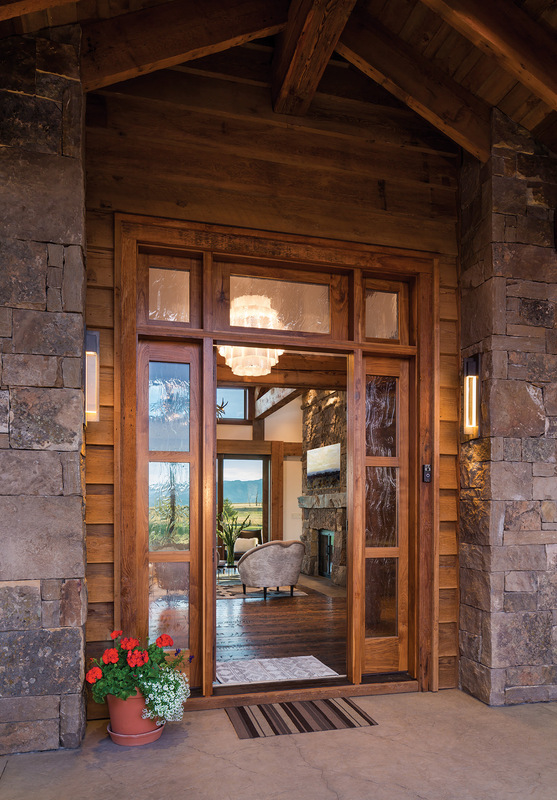 The front door is made of custom walnut and fitted with custom glass work. 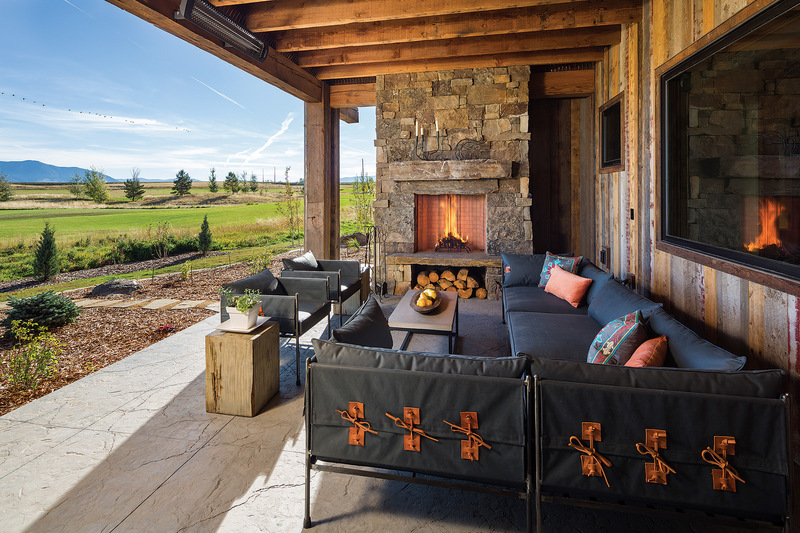 The covered porch boasts its own stone fireplace and outdoor heaters, making it comfortable even on chilly evenings. Each guest room has its own private bathroom. The 732-square-foot “casita,” complete with a full kitchen, offers private quarters for guests. 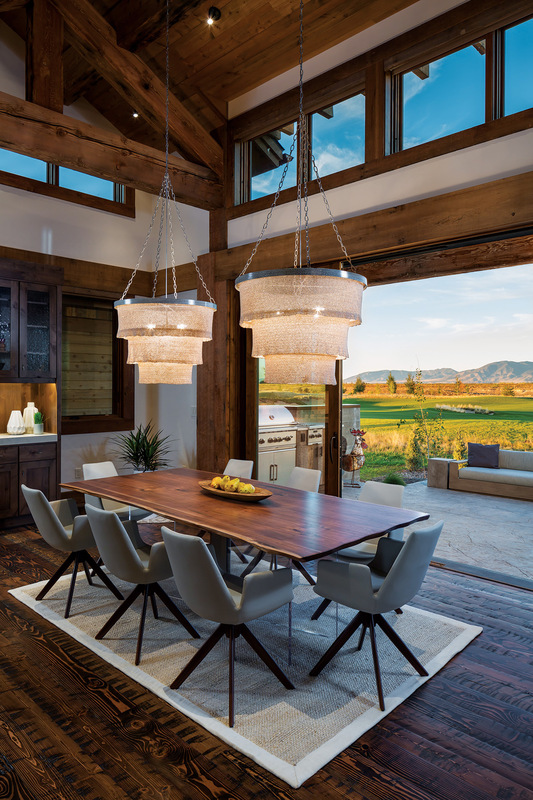 The dining area in the great room opens to the outside through large, lift-and-slide doors. The private office looks out past the covered porch toward the Black Bull golf course. 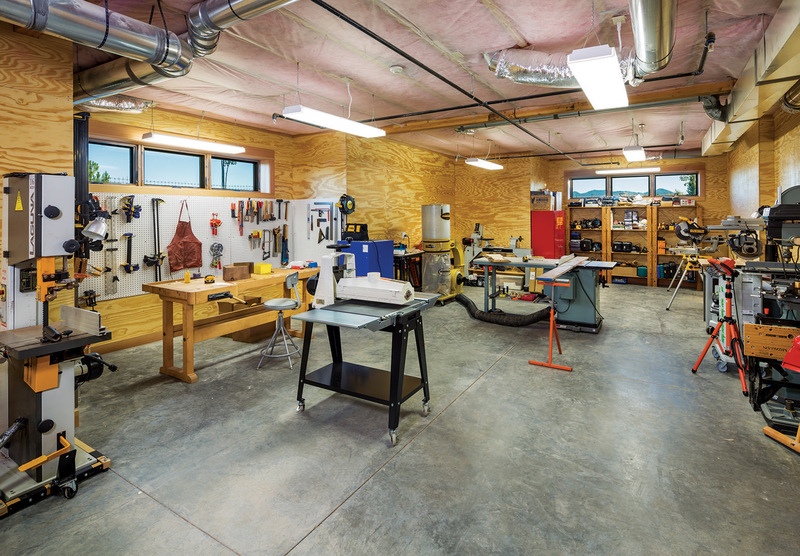 An avid woodworker, Keith Gordon collaborated with the principals to create a 1,167-square-foot wood shop. Custom lighting fixtures created by Gordon hang over a staircase.